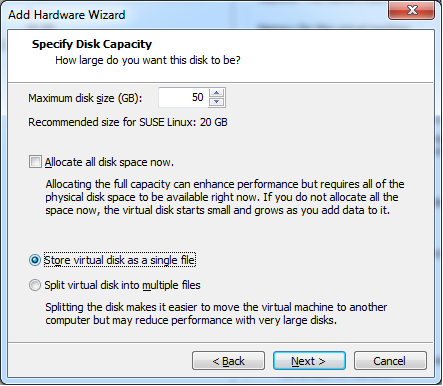 Well, you might be knowing about adding disk to Virtual machine in VMware vSphere Environment. However there are some instances, when you are using Type 2 Hypervisor i;e VMware Workstation, and quite possible that you may or may not be familiar with this. Take a example if you are preparing virtual lab at your home and you don't have enough hardware servers to use for ESXi and vCenter roles. So, You will never wish to be in that situation where dependencies on hardware may turn you to drop your idea for lab preparation. So, to overcome this, you will use VMware Workstation software based hypervisor to virtualized your environment. Once you have installed VMware Workstation in your local machine, you have to create Virtual Machines and ESXi hosts in VMware Workstation known as application based hypervisor, rather on physical hardware. Another question might have arose that how to allocate resources(i;e CPU, Memory, NIC, Disk) to these virtual machines. Quite simple, just ensure to have enough resources on local machine, and you can further assigned to it from there itself. Take a example of previous article where we were required Storage Space for Openfiler Appliance which was running as Virtual Machine on VMware Workstation. 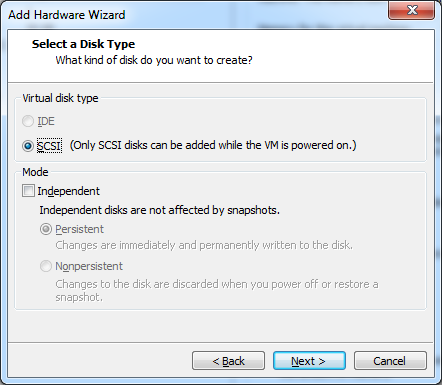 Now we had to add Virtual Disk to this appliance so that it can be share and used for ESXi Environment. 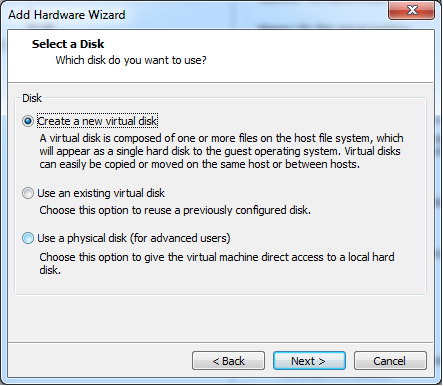 In this article, we will describe the procedure to Add Virtual Disk to VM in Type 2 Hypervisor. Let's take a quick insight below. 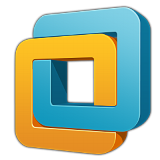 - Open VMware Workstation. It will list out the currently running Virtual Machines. - Select Virtual Machine. Right Click and Edit. 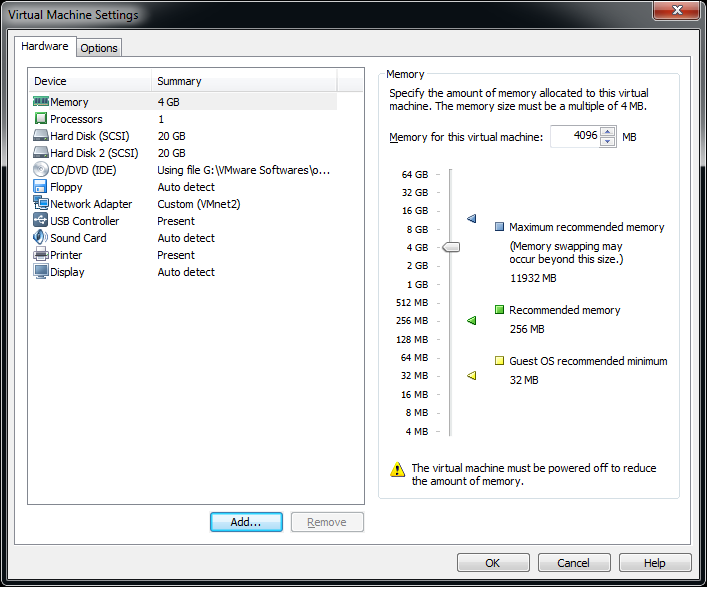 - It will open Virtual Machine Setting option. Click on Add. - Select Hardware Type as Hard Disk. Click on Next. 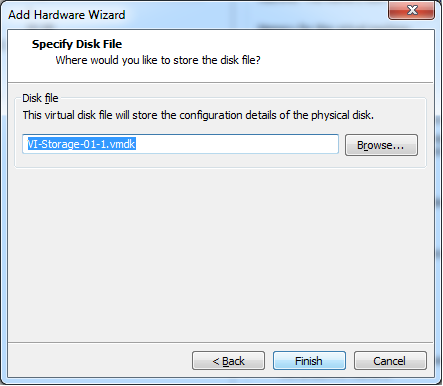 - Select a Disk "Create a new virtual disk" , Click Next. - Select Disk Type as SCSI. Click Next. - Provide Disk Capacity as per your requirement. In below example, We put 50 GB. This space will be taken by your local system. Click Next. - Select Disk File location. It will be store on your local machine. Click Finish. 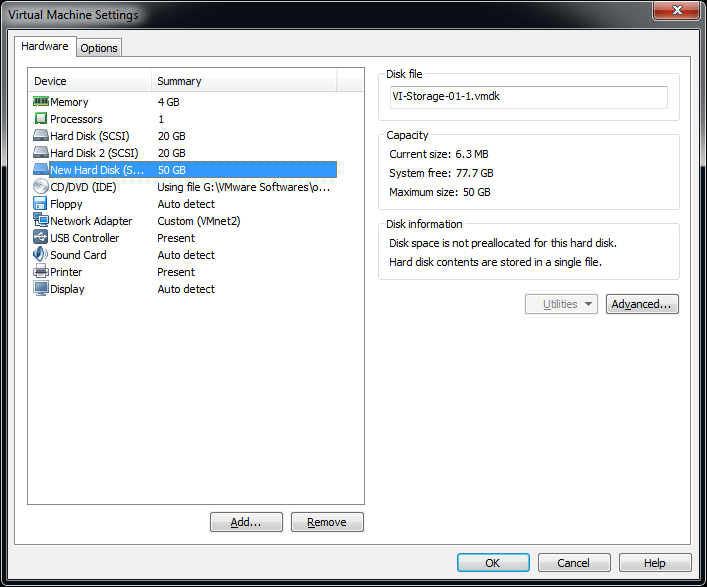 - Now 50GB Virtual Disk will be visible in Virtual Machine as additional Hard drive. Thanks for vising here and giving your time to read out this article. Put your queries or inputs in comment box. Be social and share if you liked this post.